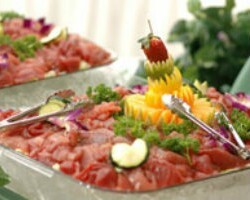 If you love food then you will want to pay special attention to your wedding day catering in Honolulu, HI. Whether you are having a reunion lunch or a large formal wedding, A Catered Experience can provide a delicious meal in any style and for any number of guests. This team has over 36 years of providing excellent service and a varied menu that will allow you to pick your favorites as well as include some of the most popular crowd pleasers. Part of making your big day special and memorable is ensuring every aspect of the ceremony and the reception is perfect. Carval Catering is one of the top catering companies in the area because they are flexible in terms of the number of people they can serve and the style of service but also because their menus can be extremely versatile. This company can serve dishes that follow more traditional Italian catering or even whip up excellent Mexican food for you and your guests to enjoy. Wedding catering is not going to be cheap but it doesn’t have to break the bank either. 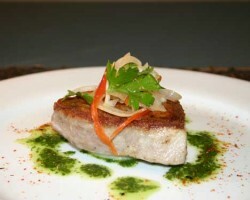 Taormina Sicilian Cuisine offers reasonably priced gourmet dishes for formal occasions like your wedding. The professional staff will work to create an elegant atmosphere while the chefs will be creating flavorful and artful dishes in the kitchen. This company focuses on dishes that have been inspired by the traditional plates of Sicily. This will tantalize your taste buds and leave everyone satisfied at the finish of the meal. Many Hawaiian celebrations are based around the food that everyone is gathered around. Weddings are no different. 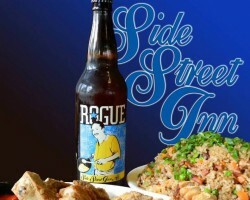 This is why Side Street Inn offers an incredible Honolulu catering service that will provide you with a meal that brings everyone together and truly celebrates your big day. Whether you would like an extravagant crawfish dish or some traditional foods from Hawaii, these local caterers will deliver a menu that you and your guests will love. By using the best ingredients and freshest foods you can count on the quality of the meals too. 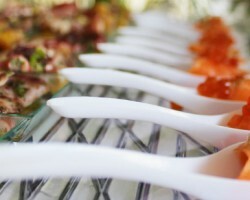 Whether you are having a corporate party or a formal occasion, the food you serve will help to enhance the celebration. 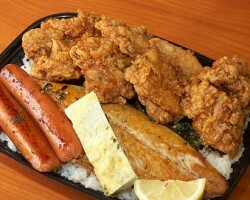 This is why many couples choose the meals offered by Sugoi. This is one of the most specialized wedding catering companies in Honolulu offering a mixture of Japanese and Hawaiian influenced dishes. While this company’s BBQ dishes are generally more suited for casual occasion, the meals are certainly satisfying for weddings and are actually even more affordable than more traditional options too.